Local running events bring back the pleasures of running. They usually have a small number of participants, located in rural and often obscure yet scenic places. As a bonus, they have fresh country air to clear the lungs and a relaxed atmosphere, which gives both the participants and spectators much enjoyment. 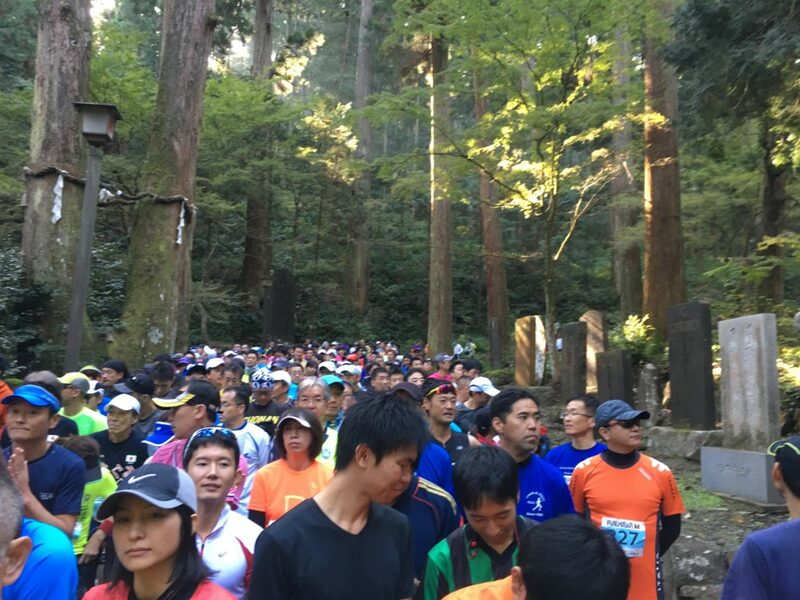 Tengu no komichi race, held on 6th November 2016 and located less than 50km south east of Mt Fuji, was a certainly one of these local events and being the first time held, the local crowd put on a great show for all. 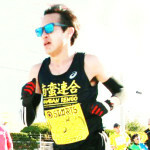 There were two short distance events, the 5k and 10k. Good friend and club runner, Alan C, gave notice of this race and being held in autumn, and to me, it sounded like something very special. The location was convenient, easily accessible from Tokyo via two trains and a short bus ride. 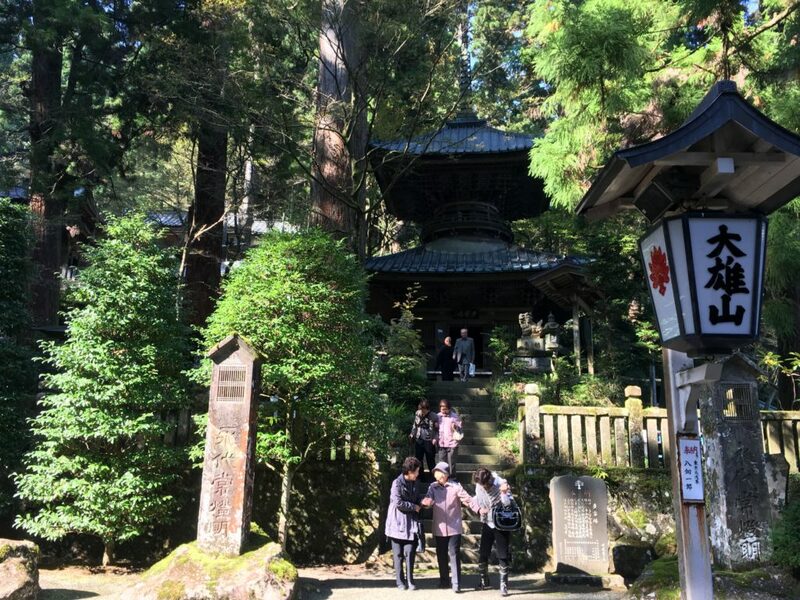 The nearest train station is Daiyuzan, from which there is a bus taking you to the temples which are spectacular in their own right. In fact, I wish to go back another time just to spend more time to see the collection of interesting ancient temples. The temple complex is surrounded by a multitude of tall trees which gives a naturally serene feeling. 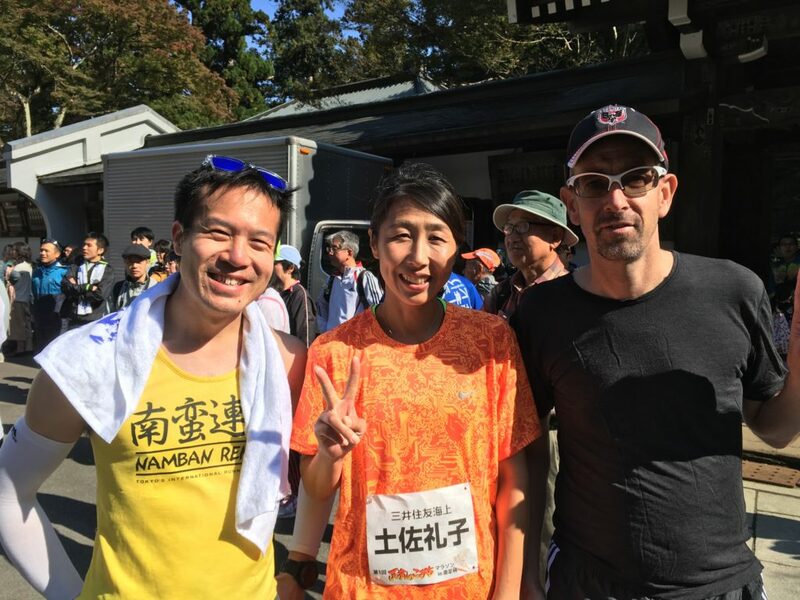 Another club runner, Chika K, also joined in the 10k event and we tried to get more people to sign up, but the annual Namban Rengo running club’s BBQ and half-mara/10k event was held on the same day, so it was understandable for the small turn out for this event. En route to the event on the local train, I started looking through the pamphlet for the course elevation out of curiousity to which Alan grinned jokingly, “It might be better not to know!”. Shortly after, whilst taking the shuttle bus to the start line, which was a good course “sighting”, it was clear what Alan was hinting at. To be fair though, the bus didn’t take us all the way to the start line. That’s because there was no road for such a large vehicle, just a flight of stairs up through the deep forest to the temple gate. The race sounded like fun already! 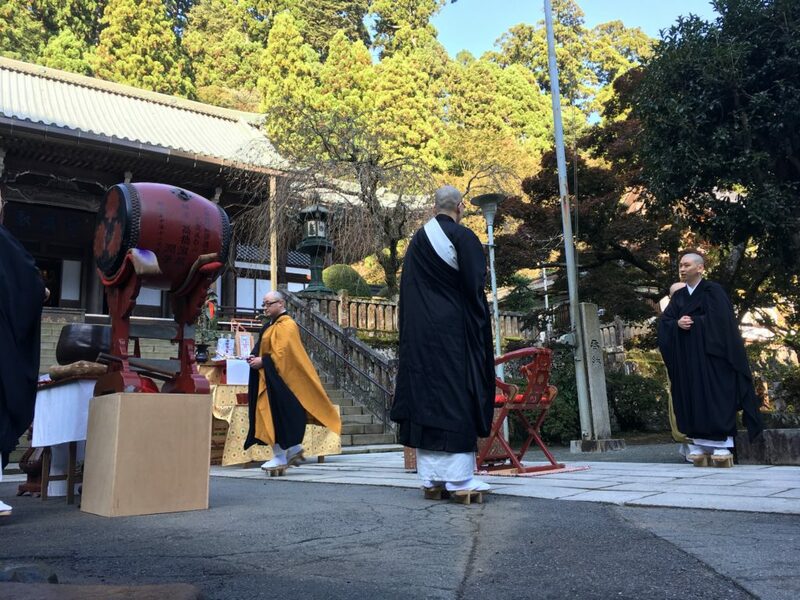 Getting ready in the brisk morning air within the temple complex grounds, we witnessed the Buddhist monks chanting to the rhythmic beat of a solo drum, and wishing for blessings from the benevolent deities. The 10k group started first, with 440 participants in total. 122 participants took part in the shorter 5km course. We all ran the steep 11% downhill road for about 2km, knowing that we would have to climb this again at the end. The downhill was all road, no stairs, but rather acute so I tried to keep up with Alan who was turning out to be a good pacer for me. 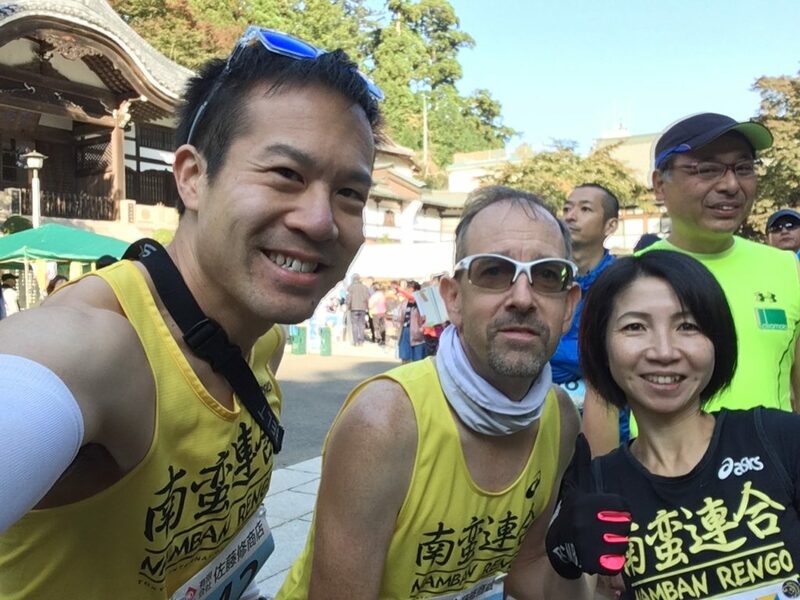 A couple of maniac runners were absolutely flying down the course, including one who must have been a medical worker from a hospital as it read “Cardiology Team” on the back of his shirt. “At least we have help if we have a heart attack”, Alan quipped. But given his smokingly fast pace, I mentioned that he must have been on EPO or blood transfusion! Seems like he didn’t have it all planned out as we later passed him on the return leg. About the 3km point, there was a rather challenging uphill. I found that after all the speed accumulated going down, the uphill was slow and mentally tough. It probably was all relative, as on average the pace worked out to be fine, and I don’t think I dropped too many places. I knew there was still over half to go, so didn’t really push all out at this stage. The U-turn point was a relief to see but also meant we were heading into the “business end” of the race – back up the hill and then a bit further to the temple. On the return, we used the footpath next to the road, which had a nice spongy surface feel in some areas, but also incorporated quite a few stairs. I actually found stairs quite enjoyable, more than the downhill (yes, call me odd) and more than if the road was a smooth, gradual uphill. The spacing of steps was good, I took two steps each time rather than the single step, with little fear of slipping or over-stretching. The only small issue was some of the 5k participants were finishing as we were running up, but this was indeed a very minor gripe as there was quite enough space if you looked up and planned ahead your route. I felt my muscles getting fatigued just at the very end, so I was quite happy to finish. My previous 10k race was a slightly less gruelling, but comically themed Cabbage Marathon about a year and a half ago. By comparison, this was far cooler although somewhat steeper by comparison. Alan did a fantastic run finishing in 24th position, whilst Chika came 1st (i.e. she won!) the women’s 10k category. This made the day very special, as it is always good to see friends finishing on the podium! Her time was 49 minutes 47 seconds which incredibly was about 2 minutes ahead of her nearest rival. Whilst waiting for the award ceremony to begin, Alan and I spotted someone who must have been quite famous as people were crowded around her and talking to her. We didn’t have the foggiest idea to who she was, but given her number on her bib was actually a “name”, we clued up that she was a guest runner. So we decided to take a photo with her and had a short talk. 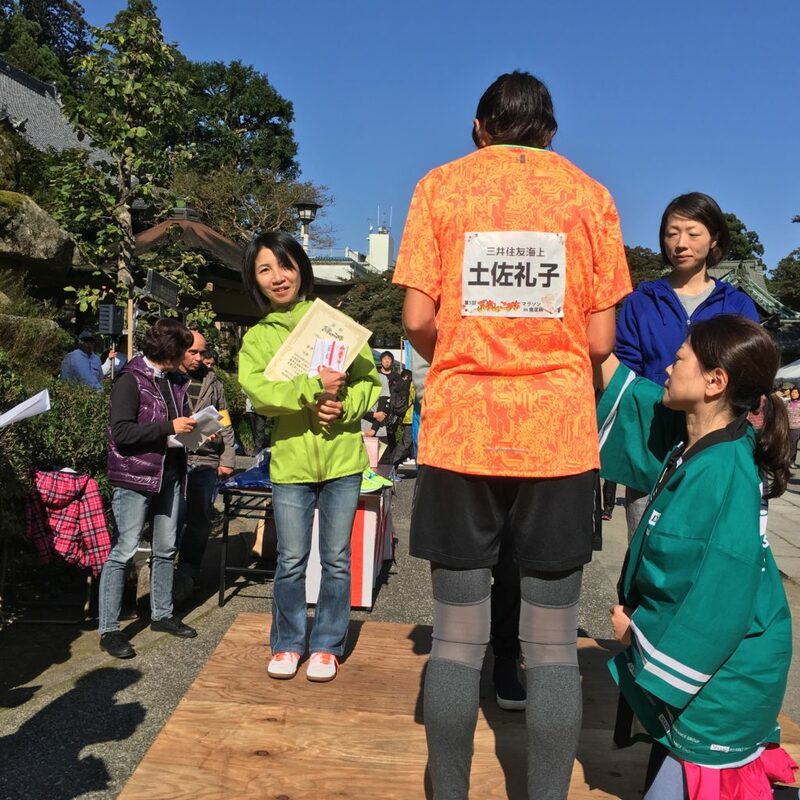 Later on, we asked Chika who she was, and found out that “she” was Reiko Tosa, a famous Japanese elite runner who is now retired. Another highlight of the day was actually unrelated to running. 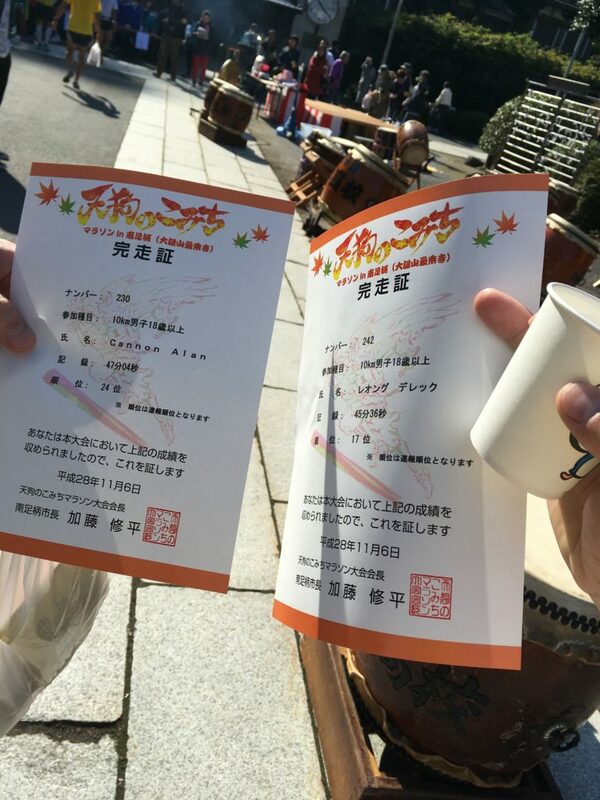 It was a fantastic taiko drumming performance from the high school children. I captured some of the performance below. All in all, it was a great day out, we had great fun. There was a 100% finishing rate for both 5km and 10km events. 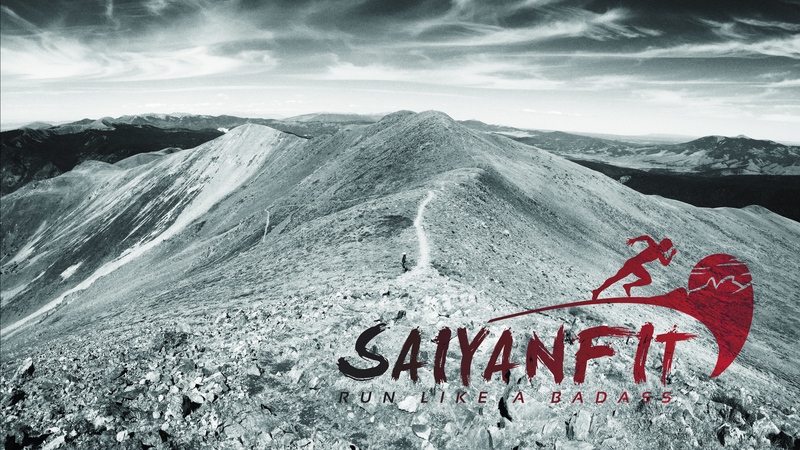 I would definitely recommend this race to others wanting a special challenge and to get into the countryside for a weekend. ← Q&A #3 From Hemant T.